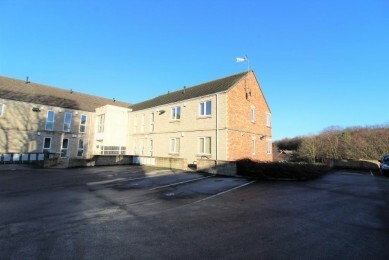 **NO VENDOR CHAIN AND ALLOCATED PARKING** Gates are pleased to present to the market this two bedroom apartment. Being the largest apartment in the block with accommodation comprising of open plan kitchen and lounge, two bedrooms and bathroom. Also having the benefits of double glazing, gas central heating, allocated parking, secure intercom entrance ad an alarm system. With an entrance door and built in cupboard housing the central heating boiler. The lounge area has a radiator, two double glazed windows and is carpeted. The kitchen area has a range of wall and base units with work surfaces which incorporates a stainless steel single drainer sink. Integrated appliances include a dishwasher, fridge freezer, electric oven and gas hob with canopy extractor hood above. Also with double glazed door with double glazed side panels. This double bedroom has a radiator, double glazed window, radiator and carpet to the floor. With a double glazed window, radiator and carpet to the flooring. Having a bath, low flush wc, pedestal wash basin, separate shower cubicle, radiator and extractor fan. There are communal garden areas and a car park.